Since the Boat Buddy is no longer available. 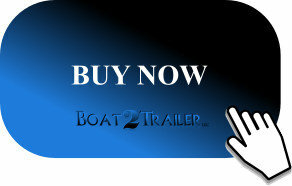 Boat2Trailer would like to offer you the Drotto Boat Latch. Boat2Trailer offers the latest automatic boat loading and boat launching system on the market. The boat buddy was around for many years, but seems to have been recently pulled from production. The Boat Latch on Boat2Trailer is a heavy duty latching system that simply replaces the front roller on your trailer. 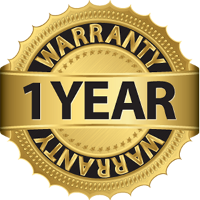 If you are looking to replace your boat buddy simply remove the boat buddy and install the Drotto latch from Boat2Trailer in its place. The boat buddy had used a spring loaded pin that shot into the eye to lock the boat. The Drotto uses a heavy guage steel clamp that automatically snaps shut when the eye of the boat contacts it. Another key factor to note is unlike the boat buddy, the Drotto does not require any resetting after loading or unloading the boat. It basically sets and resets itself automatically. The Drotto also has an easy release handle to release the boat. The Drotto comes with a handle that extends up near the tip of the bow of the boat. You may reach from inside of the boat, pull the handle and launch the boat with ease. The boat buddy was less expensive than the Drotto, but the Drotto is constructed with a heavy steel and incredibly durable. The boat buddy was mainly constructed of plastic and a steel pin. The only plastic on the Drotto latching system is the plastic plate that the boat slides up on. We at Boat2trailer took on the Drotto latch because of the quality, durability and usability of the product. Here are a few things that make the Drotto stand out from the rest. If you are looking for a Boat Buddy replacement we recommend the Drotto on Boat2Trailer.